Policy v personality? Huh, Big Red Car? Big Red Car here in the dark awaiting the sun’s rising. Going to be a great day in the ATX — on Earth as it is in Texas, y’all! The author of that statement is one Albert Wenger. He is a partner of Union Square Ventures, an experienced venture capitalist, and a successful entrepreneur in his own right. He is also a Trump hater and a Manhattan liberal. Still, he is smart as Hell and broad minded enough to have asked the question. A poorly educated chap (Harvard College econ and computer science degrees plus MIT PhD in liberal info tech — just kidding about the “liberal” part), he cannot get beyond the Manhattan elitist Trump syndrome, so I am here to assist him. Today, the Big Red car will provide that defense — a cogent defense of the Trump record. Melania Trump is the reigning First Lady and America is the better for it. Big Red Car here on a grayish Texas day, waiting for the sun to burn the clouds out and to make it a pool day, y’all. So, our President, Donald J Trump, and his First Lady, Melania Trump, are in Paris at the invite of the French President Macron to celebrate Bastille Day. Bravo! When they arrive, they arrive in style. 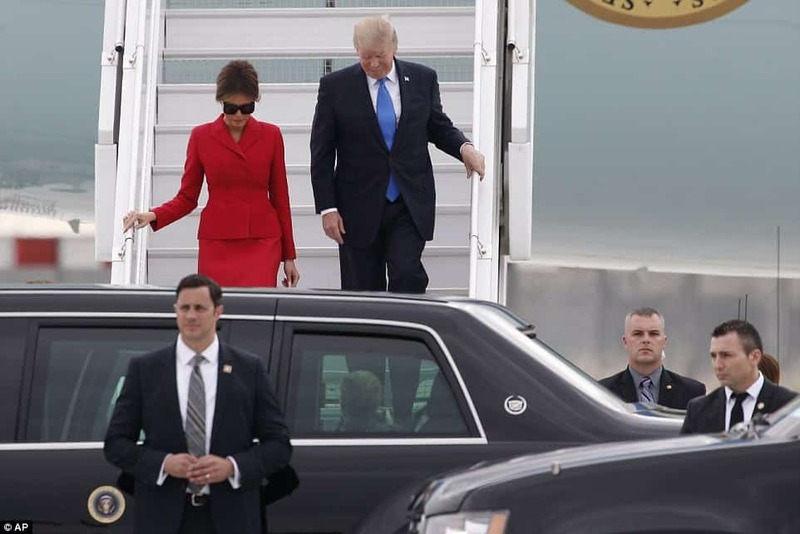 First Lady Melania Trump arriving in Paris with some familiar looking guy who is always good for a ride. Well played, First Lady. North Korea — Chinese Vassal State? OK, the whole North Korea shtick is getting tiresome. Big Red Car here on a sunny and promising day. Hope it’s nice where you are. Know where it’s not nice? Yeah, North Korea. So, what’s going on with China and the North Koreans? China is the “shot caller” here. That’s the legend. Big Red Car here on the day after the end of an error and the beginning of an era. I hope you enjoyed the Inauguration ceremony. It was quite an event. Today, we talk dancing. One thing is worthy of note in Trump’s America — there will have to be mandatory dancing lessons and it has to start with President Donald J Trump. Sorry, Mr. President, but a dancer you are not. So, when your wife looks like this, you should take some dancing lessons, no? Please? I know we hired you to be President and not a dancing gigolo, but still, sir, you failed to meet expectations. Just a friendly word from your biggest 1966 Impala Super Sport convertible supporter. Big Red Car here, y’all. Rainy day. Still, 60F is 60F. So, with Hillary having unleashed Bill on the masses to make the sale through his stench of sexual impropriety, it is only a matter of time before Donald Trump unleashes his better half, Melania, on the campaign trail. No?